Move It With M & S, LLC is proud to be the only moving company that belongs to the Saint Joseph Missouri Chamber of Commerce. Additionally, Move It With M & S, LLC belongs to the Better Business Bureau of Kansas City and the American Moving and Storage Association, the leading trade association for moving companies. 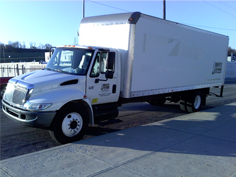 We are fully licensed and insured, as required by the Department of Transportation, as a requirement for all professional movers. We are the only moving company in northwest Missouri that has this distinction. By sharing your experience with Move It With M S , it will help other customers to make a right choice of using this company.